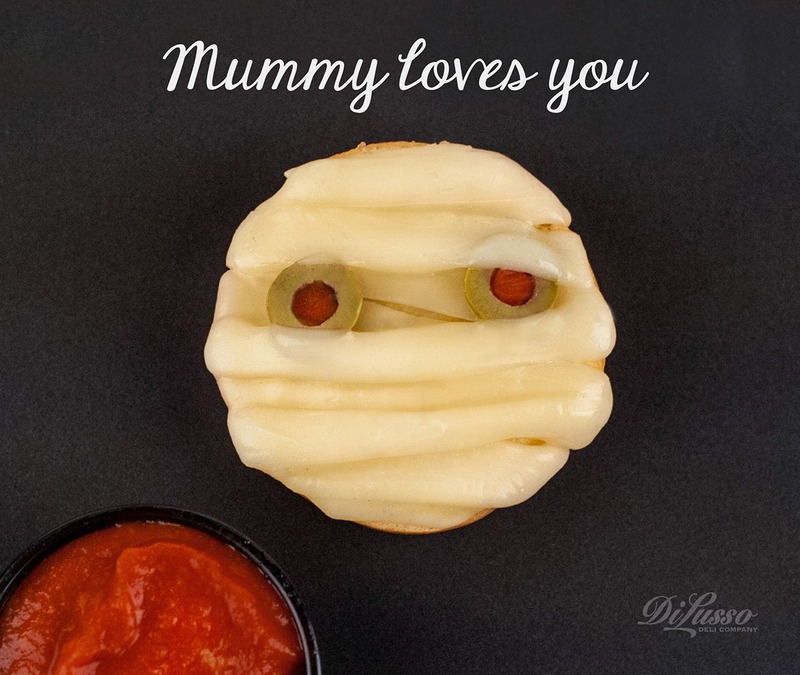 These Mummy Melts are frightfully good. Don’t forget the pizza dipping sauce. Directions: Brush garlic butter on bagel halves. Place 2 olive slices on the bagel, then layer strips of cheese over bagel. Bake at 350 for 8 minutes, or until cheese melts yet still holds a shape. Serve with warm pizza sauce for dipping.